How to connect your ESP or Arduino with Philips Hue bridge using RESTfull API and HTTP requests. 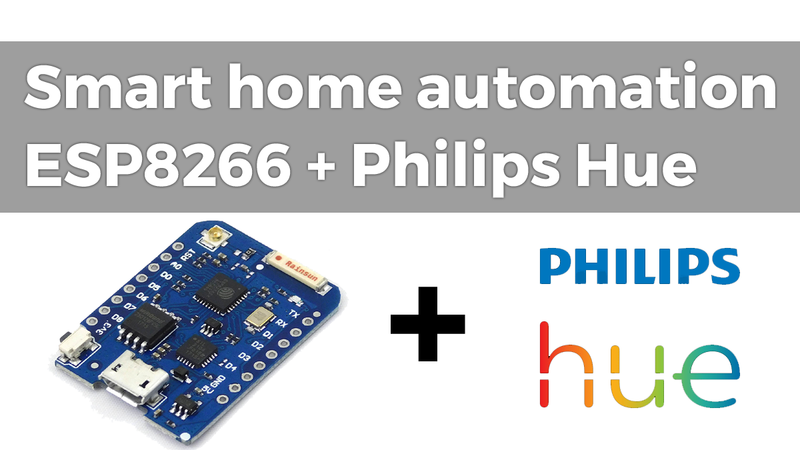 In this tutorial, I would like to focus on the basic connection between an ESP8266 and the Philips Hue and show you how to control your Philips Hue system with your Arduino or ESP8266/ESP32. We go to "register new device" on the Hue bridge and set up the controller to communicate with build-in RESTful API in bridge (commands are sent in HTTP requests and JSON). The sensor activates the light only when certain levels of light is detected (by default less than 100 lx). If the ambient light sensor level exceeds the set value, a switch-off request is sent and motion detection is ignored. If the PIR sensor stops to detect motion, the timer is started to switch off the light after a set time interval. A controller LED indicates detected motion. switch-off request is sent and motion detection is ignored. started to switch off the light after set time interval. Controller LED indicates detected motion.